The David Delight Pro is an audio-visual entrainment (AVE) system. The word ‘entrainment’ describes a process whereby one system brings (or entrains) another system into its frequency. For example, when several mechanical clocks are placed together in the same room they begin to tick in unison. In the case of the brain, exposure to specific frequencies (as represented by the terms Delta, Theta, Alpha, Beta, SMR, and Gamma) through sound or light pulsations causes the brain to entrain to those frequencies. The DDP uses flashes of light and pulsed tones to gently and safely guide the brain into various brain wave patterns to boost your mood, help with sleep, sharpen your mind and increase your level of relaxation. 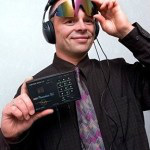 To use the DDP you simply put on an eye-set that looks like a sunglass except that you cannot see through it. Lights are embedded on the inside of the lens. You put on the glasses, close your eyes and notice flashing lights. They may seem strong at first but you quickly get used to them (and you can turn down the intensity if you wish). When you put on the headset you hear pulsing tones, like the sound of a distant helicopter. You will also hear a heartbeat tone every couple of seconds. This tone is an added bonus because it helps you to regulate your breathing for smooth even inhalations and exhalations. Such breathing affects your Heart Rate Variability (HRV) a reliable measure of physical and mental health. Mind Alive is a solid company that has been in this field for 30 years. Unlike many of their competitors they encourage and support research into the effectiveness of their systems. The founder, Dave Siever, is a recognized speaker in the brain training/neuroscience community and has authored several research papers that have been published in respectable journals. Olympic athletes, golf pros, professional sports coaches use and recommend his systems for peak athletic performance. Others find relief from chronic pain, ADD, depression and anxiety, and enjoy improved sleep, better mental focus and a host of other benefits. 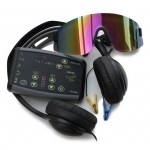 Anyone who has struggled to figure out how to get the help they need to recover from a head injury should also consider trying these relatively low-cost devices. To order a brain training system from Mind Alive call Carol at 1-800-661-6463, or simply send an email to info@mindalive.com. And when you’re ready to make the purchase, tell them Better Brain Better Life sent you; that way you’ll receive our discount. The system comes with a 30-day money-back guarantee but I’m betting you will be very happy with it – just like we are! *It is important to seek professional medical and psychological help for brain-related challenges. There is no one brain training answer that fits every person and situation.